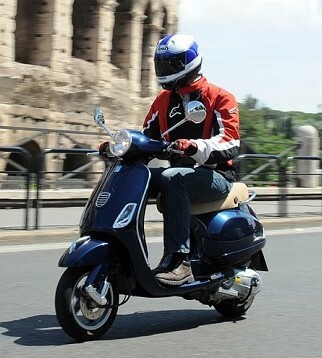 Back again in India with Piaggio the Vespa scooter, already a hit in Europe and US is trying to regain its market back. It will be a stunning attraction for youths in India. The Piaggio Vespa LX 125 comes with single-cylinder 4 stroke 124cc carburetted 3-valved electronic fuel injection petrol engine which delivers a Max torque of 10.6 Nm @ 6000 RPM and a Max Power of 10.06 PS @ 7500 RPM. It has an automatic transmission (CVT) gearbox system. Other attractive features of Piaggio Vespa LX 125 includes sound & dynamic braking system, hydraulic shock absorbers, alloy wheels, nylo grip tube tyres, light weight, good riding position and handling, monocoque steel body, storage space under the seat, classic round shaped head lamps, halogen bulbs, grill, logo, mirrors, front bumper, handle bar end, exhaust, tail light ring and Chromium finish everywhere. The Vespa LX 125 has a fuel economy of 45-60 Kmpl and has 8.5 litres fuel tank, Self and kick start, weighs 114 kgs. 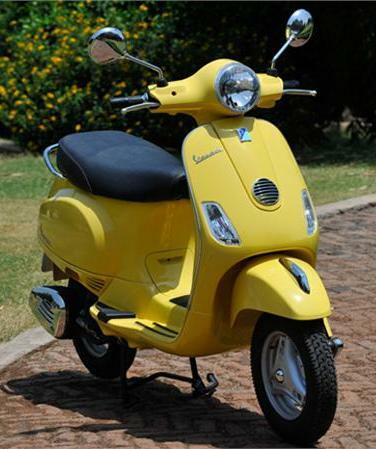 Color options of Piaggio Vespa LX 125 Scooter include Black, White, Red, Yellow, Blue and Pink. Currently available in India for a price tag around Rs 66,000 INR. 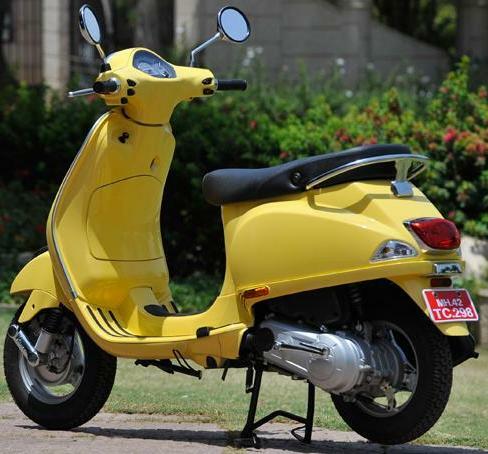 Tags:- Piaggio Vespa LX125 details, Piaggio Vespa LX125 features, Piaggio Vespa LX125 specs, Piaggio Vespa LX125 launch, Piaggio Vespa LX125 mileage, Piaggio Vespa LX125 india price, Piaggio Vespa LX125 india details, Piaggio Vespa LX125 india varients price, Piaggio Vespa LX125 variants,Piaggio Vespa LX125 pics, Piaggio Vespa LX125 pictures, Piaggio Vespa LX125 images, Piaggio Vespa LX125 trim levels, 2012 Piaggio Vespa LX125, 2012 Vespa LX125.